Now is the per­fect time to be lin­ing up an epic chal­lenge for 2018, and an ultra mara­thon firmly ticks this box. We’ve com­piled some of the best ultra mara­thons around the world for you to con­sider. Ultras are not only a chal­lenge for your mind and body, they’re also a per­fect excuse to take you off to a far flung corner of the world you oth­er­wise prob­ably would nev­er go. Not only that, you’ll be run­ning along trails and be in remote wil­der­nesses well off the beaten path. Get your 2018 ultra cal­en­dar off to a fly­ing start with this triple mara­thon epic. You’ll cross the start at 11pm on a Fri­day night and have just 29 hours to cov­er 125km and 7,500m of pos­it­ive elev­a­tion gain. Sound a bit much? You’ve also got 64km, 42km and 30km options run­ning over the same week­end. Now with around 1,400 run­ners tak­ing part, this will be the event’s 15th year also forms part of the Ultra Trail World Tour, so you’ll’ be rub­bing shoulders with run­ning roy­alty! The Ice Ultra is a 230km self sup­por­ted footrace in one of the most remote places in the world — Swedish Lap­land — a UNESCO world her­it­age area above the Arc­tic Circle famed for its unspoilt nature and untouched pine forests. It’s a five-day five-stage event — one of which sees you cross­ing a 21km long frozen lake. If you’re into your gear this is an event for you as you’ll need to be be pre­pared for extreme cold with tem­per­at­ures as low as -30 degrees. There are check­points every 10km to re-sup­ply with water, and each night’s accom­mod­a­tion is provided by way of remote huts, teepee tents with open fires for warmth. For everything else, you’ll be self-reli­ant, car­ry­ing your own kit in your ruck­sack — sup­plies, sleep­ing bag, equip­ment. There will be no more than 35 com­pet­it­ors, with around half being expec­ted to com­plete this test­ing event. This is prob­ably one of the toughest and most mind-blow­ing ultra mara­thons in the world. Set in the Yukon, it’s a non-stop and self-suf­fi­cient foot race cov­er­ing 350 miles which will see you cross the Arc­tic Circle and time zones. The quick­est com­plete it in just six days, but most cross the line with­in 12 hours of the eight-day cut off. There is a short­er 120 mile ver­sion, but the major­ity of the 30 entrants in each year’s race opt for the longer ver­sion, and this year’s brand new route prom­ises to be more remote than ever before. There are check­points, albeit less fre­quently than nor­mal at around 30 to 50 miles apart, and here you’ll be provided with hot and cold water. You’ll be drag­ging a pulk behind you with all your sup­plies stowed. Some nights com­pet­it­ors bivvy out, but mostly choose to take shel­ter in the check­point loc­a­tions par­tic­u­larly when tem­per­at­ures reach -52 degrees, the cold­est recor­ded dur­ing the event (-70 degrees with wind­chill). Set in Namibia’s Skel­et­on Coast Nation­al Park — part of the Nam­ib Desert — you’ll be run­ning 250km over sev­en days through the old­est desert in the world stretch­ing for some 2,000km along the Atlantic coast. Be pre­pared to tra­verse seal colon­ies, salt pans, salt lakes, dunes, dry river­beds, past deser­ted oil and dia­mond mines. This diverse scenery should help dis­tract you whilst you also endure tem­per­at­ures from 0–35 degrees. It’s self-sup­por­ted, so you’ll be car­ry­ing all your equip­ment for the week (eight to ten kilo­gram back­pack when fully loaded), but your tent will be provided as will water at check­points every 10km along the route. It’s a more medi­um-sized race with around 150 to 200 oth­er run­ners tak­ing part, so you’ll likely have someone to run with, or to push your­self against most of the time. You’ll need to get your­self to Johan­nes­burg in South Africa, then hop on a short flight up to Walvis Bay where you’ll then be just half an hour’s drive from the host town of Swakop­mund. An intim­ate event of around 50 com­pet­it­ors — includ­ing some phe­nom­en­ally tal­en­ted loc­al Moroc­can run­ners — the Trans Atlas Mara­thon is set in the dra­mat­ic and beau­ti­ful High Atlas Moun­tains by spe­cial per­mis­sion of the King, and in ultra mara­thons terms you’ll be treated like roy­alty. Break­fast and hot din­ner are served each day, and accom­mod­a­tion is an extens­ive Ber­ber-style camp com­plete with shower. The entry fee also cov­ers everything else includ­ing 5* hotels before and after the event. This 280km six-day ultra is a sup­por­ted race and you’ll only need to carry what you need for the day, but that’s not to say it isn’t chal­len­ging, far from it. Race Dir­ect­or Moha­mad Ahansal, five-time win­ner of the Mara­thon Des Sables and 10-time run­ner up, brings all his supreme run­ning and ultramara­thon exper­i­ence as well as loc­al know­ledge to this event. Tra­vers­ing the stun­ning yet bru­tal moun­tain range with ardu­ous ter­rain, you’ll get an insight into the Ber­ber way of life and be tested to your lim­its. With huge daily ascents and des­cents — the 2017 race clocked up a stag­ger­ing 24,000m — you’ll also be at alti­tude, reg­u­larly at 2,000m above sea level, with some peaks as high as 3,000m. Set in the adventurer’s dream play­ground, this sup­por­ted six-day 240km event starts in Grand Junc­tion Col­or­ado and takes you through some of America’s most rur­al and beau­ti­ful deep back­coun­try deserts, fin­ish­ing up in Moab, Utah. You’ll be provided with a break­fast and hot meal at camp each day, which will be set in the Col­or­ado river where you can bathe and take some res­pite from the day’s run­ning and the heat of up to 45 degrees. If you’re look­ing for an exper­i­ence in the truest sense and think­ing about a trip Down Under next year, be sure to con­sider adding on this six-day 250km ultra mara­thon onto your itin­er­ary. It’s Australia’s first, and only, multi-day ultra mara­thon, and you won’t be sur­prised to hear it starts and fin­ishes at a pub, the Birds­ville! You’ll be run­ning through stun­ning red sand land­scapes in the remotest out­back, sand dunes, open plains, clay flats, salt lakes, and camp­ing under­neath the stars and the clearest skies around a camp­fire (it’s a sup­por­ted event so all your gear and food will be trans­por­ted from camp to camp). Get­ting to Birds­ville is a mini adven­ture and cool road trip in itself, being in the heart of Aus­tralia, it’s a three day 1,900km drive. A spe­cial 10th Anniversary edi­tion, the X-Alpine starts in Ver­bi­er town centre early Sat­urday morn­ing at 1am and is a non-stop 111km with a huge 8,600m of elev­a­tion gain across peaks of up to 2,800m above sea level. If you man­age to cross the line with­in the 36 hours cut off time you’ll enter an elite group of run­ners. If you were look­ing for some­thing slightly less intim­id­at­ing, there is also a 29km, 43km and 73km ver­sion of the race over the same week­end, so some­thing for the whole fam­ily! A race that asks you to cov­er 333km, in 72 hours, touch­ing alti­tudes of 5,300m above sea level in tem­per­at­ures of up to 40 degrees. Yes this does exist, and it’s La Ultra Le High set in the Ladakh Region in the Indi­an Him­alay­as — and it’s on anoth­er level. In its sev­en year exist­ence, 76 run­ners from 24 dif­fer­ent coun­tries have par­ti­cip­ated and 41 have fin­ished. The entry require­ments are, quite under­stand­ably, strict and you’ll need to have some oth­er ultra mara­thon run­ning exper­i­ence under your belt to be in with a shot at an approved applic­a­tion. There is always the 222km and the 111km ver­sion if you fancy the same atmo­sphere in this amaz­ing Him­alay­an land­scape. Regis­tra­tion opens on 1st Decem­ber and closes mid Feb. In its 34th annu­al year and described as the world’s most gruel­ing race, this icon­ic event requires com­pet­it­ors to cov­er a totally bru­tal 246km in just 36 hours. You’ll start on a Fri­day even­ing in Athens, from where you’ll run south west along the coast for around 70km, then inland towards Sparta where the race fin­ishes. 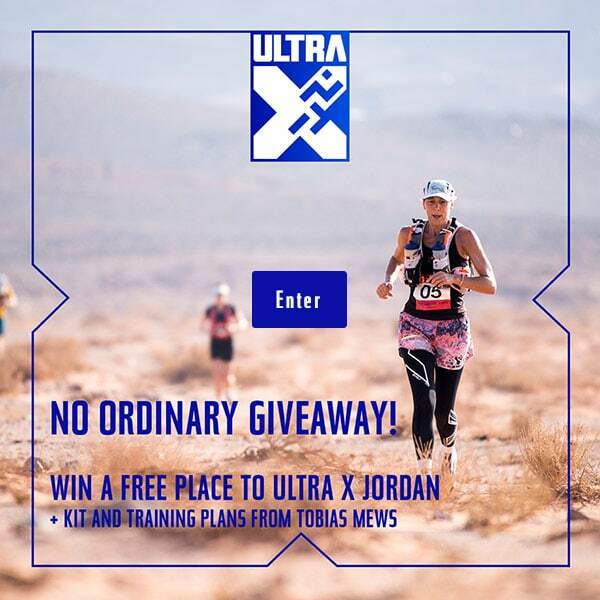 Set in Jordan’s stun­ning red-sand Wadi Rum Desert, this breath­tak­ing five-day 260km ultra is ideal for both exper­i­enced and new­comers to multi-day events. Now in its third year, this is fast becom­ing one of the best ultra mara­thons out there. What’s more it’s prob­ably the best value multi-day sup­por­ted ultra you’ll find any­where at just £780 for the full nine-day trip, includ­ing a vis­it around Petra after the event. As you run across this sub­lime Mars-like land­scape, there are check­points every 10km with water and med­ic­al assist­ance should you need, and being a ‘sup­por­ted’ event, you’ll only car­ry­ing what you need for each day (which you’ll be pleased for on the fourth day when you have an 80km stage). As the camp relo­cates around the desert to yet anoth­er Hol­ly­wood movie-esque back­drop, your kit bags and physi­os will be wait­ing for you at the end of each day.